Formula 1′s governing body has written to team principals assuring them they have no intention of tendering for a sole fuel supplier despite a recent announcement raising the possibility. Leading teams derive substantial sponsorship from oil companies – such as Shell, Total, Malaysia’s Petronas and Venezuelan state-owned PDVSA – and any move to limit the sport to one supplier would be a big hit to team budgets. Concern was raised after the International Automobile Federation (FIA) said last week that a new ‘Concorde Agreement’ governing the sport would give it responsibility for conducting tenders for tyres and fuel. Teams said a subsequent explanatory letter was sent by FIA secretary-general Pierre De Coninck ahead of this week’s Korean Grand Prix. “We knew nothing about it (a possible fuel tender) until it emerged (after the FIA’s World Motor Sport Council),” McLaren’s Martin Whitmarsh, whose team have ExxonMobil as partners, told Reuters. FIA sources said mention of a fuel tender had been a mistake and, unlike the tyres which have Pirelli as sole supplier, it was highly unlikely that teams would ever agree to such a move. “Look at the post-tobacco era and probably one of the biggest sectors of investors into the sport is the petro-chemical industry,” said Whitmarsh. “You wouldn’t want to jeopardise that, so commercially it doesn’t make sense (to have a sole supplier). And technically it doesn’t either,” added the Briton. Formula One is adopting a new turbocharged V6 power unit with energy recovery systems next year with fuel economy becoming a crucial factor. Cars will be allocated 100kg of fuel, equal to 140 litres, in 2014 to last the race distance of around 300km instead of around 150kg at present. 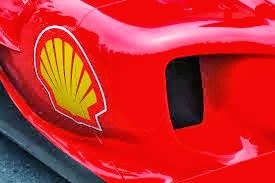 Mercedes, Ferrari and Renault are developing the new turbo engines to run very lean for fuel efficiency and are working closely with their chosen petro-chemical companies.